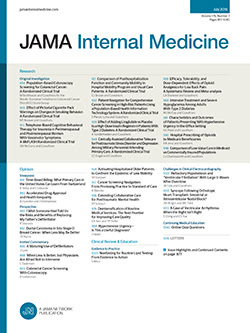 Background Current literature suggests that myocarditis is a common event during influenza infection, occurring with a prevalence rate of up to 10%, but these studies have relied on relatively nonspecific techniques of varying sensitivities for the detection of myocyte injury. Using measurement of cardiac troponins I and T, this study sought to determine the prevalence of myocarditis in a large unselected cohort of patients with serologically confirmed acute influenza infection. Methods A total of 152 subjects were recruited from 60 primary care and university health centers. Serial creatine kinase (CK), CK-MB, and cardiac troponin I and T measurements were taken on days 1, 6, and 21 following presentation. Results Creatine kinase levels were elevated (mean ± SD levels, 830 ± 1531 U/L; range, 181-7280 U/L) during the collection period in 18 patients (12%). Twelve (67%) of these had elevated CK levels on day 1 of presentation. Overall CK-MB levels were higher than 25 U/L in 3 patients with elevated CK readings but in no patient was the CK-MB fraction greater than 6%. Cardiac troponin I and T levels were not raised in any of the patients. Conclusions Using more sensitive and specific markers of myocardial injury, we demonstrate that the prevalence of myocarditis during acute influenza infection is substantially lower than previously thought, whereas skeletal muscle injury is relatively common. Although we were unable to conclude that no myocardial inflammation was present, it seems likely that this complication is rare. THE INFLUENZA pandemic of 1918 infected 50% of the world's population, resulting in the deaths of 40 million to 50 million people.1 Seasonal influenza epidemics are associated with a 2-fold increase in deaths during winter, and mortality is especially high in groups at risk, such as those with cardiac disease.2 The development of acute myocarditis during influenza infection is a well-recognized complication, and the clinical expression varies from asymptomatic to fulminant fatal congestive cardiac failure.3 Importantly, viral infection may also be the initial event that culminates in idiopathic dilated cardiomyopathy,4 which itself has major clinical and economic implications. Cardiac troponins are proteins that form part of the myocyte contractile apparatus and have been shown in animal and human studies to be the most specific serologic markers of myocyte injury available and 6 times more sensitive than creatine kinase (CK)-MB in the detection of biopsy-proven myocarditis.11,12 Using these superior markers of myocardial injury (cardiac troponins I [cTnI] and T [cTnT]), we set out to determine the prevalence of myocarditis in a large series of adult patients with serologically confirmed acute influenza virus infection. The identification of myocarditis during acute viral infections could prove useful in defining a group of patients who may be at risk of developing a cardiomyopathy later in life. The study was performed as part of a double-blind, randomized, placebo-controlled multicenter trial13 investigating the effects of the drug oseltamivir on patients with acute influenza infection that took place from January to March 1998 at 60 primary care and university health centers throughout the United States. Samples received for analysis in the present study had been recruited from the placebo-treated arm of the parent study. All patients had serologic confirmation of acute influenza infection. In brief, included in the present study were 152 previously healthy adults, aged 19 to 63 years, who presented within 72 hours of the onset of influenza symptoms and who had a documented oral temperature of 38°C or higher at enrollment plus 1 or more respiratory symptom (cough, sore throat, or nasal symptoms) and 1 or more constitutional symptoms (headache, malaise, myalgia, sweats and/or chills, or fatigue). Seven symptoms (nasal congestion, sore throat, cough, muscle aches [myalgia], fatigue and/or tiredness, headache, and chills or feverish feeling) were scored by the subjects twice daily on a 4-point scale (0, absent, to 3, severe) from which a myalgia score and total symptom score were derived. Individuals were excluded from the study if they had received influenza vaccination in the 12 months prior to the beginning of the study; if they had active, clinically significant chronic illness or human immunodeficiency virus disease; if they were receiving treatment with systemic steroids or other immunosuppressants; or if they had a history of alcohol or other drug abuse. Participants were randomized to receive placebo for 5 days and were blinded to allocation status throughout the study. They were permitted the use of acetaminophen only for symptom relief. Written informed consent was obtained from each patient before enrollment. The trial was approved by the local institutional review board at each center. Serum samples were collected on days 1, 6, and 21 following presentation. (The 21-day sample was actually taken anytime from day 19 through day 23.) Samples from days 1 and 21 were analyzed for type and subtype of influenza viruses isolated using a hemagglutination inhibition assay with specific antisera, performed by standard methods using antigens known to be circulating during the 1997-1998 season (A/Shenzen/95 [H1N1], A/Wuhan/95 [H3N2], A/Sydney/97 [H3N2], and B/Harbin/95). The definition of a seroresponse was a 4-fold or greater rise in type-specific antibody between the baseline and day-21 samples. Serum hemagglutination inhibition antibody testing was performed at ViroMed Laboratories Inc, Minneapolis, Minn. Analysis for CK, cTnT, and cTnI levels was performed on samples from days 1, 6, and 21 following presentation. The serum total CK activity was measured using an optimized catalytic method at 37°C. The CK-MB activity was measured using an optimized immunoinhibition assay at 37°C (both assays manufactured by Instrumentation Laboratory, Warrington, England). The CK-MB level was determined only for those samples that had a CK level greater than 180 U/L. The cTnI concentrations were measured using an immunometric assay with magnetic separation (Bayer Immuno I; Bayer Diagnostics, Newbury, England). The cTnT concentration was measured using an immunometric assay with a chemiluminescent detection system (Elecsys; Roche Diagnostics, Lewis, England). All samples were stored at –80°C prior to analysis. Positive controls of the troponin tests were provided by confirming that the serum from 20 patients with acute myocardial infarction (ECG ST elevation of ≥0.2 mV in ≥2 contiguous leads) all had elevated cTnI and cTnT levels. Healthy subjects have CK levels lower than 180 U/L and cTnT and cTnI levels lower than 0.01 µg/L and 0.1 µg/L, respectively. Higher values are consistent with myocyte injury. Cardiac damage was considered to have occurred if the CK-MB level was greater than 25 U/L and the CK-MB fraction was greater than 6%. A Mann-Whitney rank sum test was used to compare differences in antibody titer (taken on day 21) between normal CK and elevated CK groups. The same test was used to compare myalgia score and total symptom score on those days with an elevated level vs reported scores on days with a normal CK concentration. A total of 152 patients were recruited into the study, of whom 78 (51%) were male. The mean age of the patients was 38.5 years (range, 19-63 years) and of these, 63 (41%) were smokers; 145 (95%) were white; 6 (4%) were Chinese; and 1 (1%) was Afro-Caribbean. The mean ± SD time from symptom onset to presentation was 26.7 ± 9.6 hours (range, 2-68 hours), with most (96%) presenting within 36 hours. The numbers (percentages) of the different influenza virus types and subtypes were as follows: A-H3N2, 145 (95%); A-H1N1, 1 (1%); and B, 6 (4%). Table 1 outlines the number of patients with an elevated CK level and corresponding mean values of CK, CK-MB, CK-MB fraction, cTnI, and cTnT on each of the days collected. The mean ± SD CK level was elevated (830 ± 1531 U/L; range, 181-7280 U/L) during the collection period in 18 patients (12%). Twelve (67%) of these patients' levels were raised on day 1 of presentation. The CK-MB levels were higher than 25 U/L in 3 patients with elevated CK, but in no patient was the CK-MB fraction greater than 6%. Levels of cTnI and cTnT were not raised in any of the patients. Mean day-21 antibody titer levels, myalgia scores, and total symptom scores are listed for normal and elevated CK groups in Table 2. No statistically significant differences were found for any mean score between the 2 groups. In previous studies, all of which used noninvasive testing procedures,6-8 myocarditis was suggested to be a common occurrence. This led Nicholson5 to conclude in a recent review that the prevalence of myocardial inflammation during acute influenza infection was as high as 10%. However, using better markers of myocardial injury (CK-MB, cTnI, and cTnT) than the previous studies used, we found no evidence of such injury in this cohort of adult patients with serologically proven acute influenza infection. We also found that skeletal muscle injury appears to be a much more frequent and early complication than other studies5 have suggested. Additionally, although our subcohort with elevated CK levels was small and results must be interpreted with some caution, the presence of muscle damage does not appear to be associated with a higher antibody titer or myalgia or total symptom score. The measurement of cTnT has also been found helpful in monitoring the resolution of viral myocarditis.15 Two human studies have compared the sensitivity of cTnT11 and cTnI12 measurement with myocarditis confirmed on endomyocardial specimens using the standard Dallas criteria and additional immunohistologic analysis, a technique considered to be the diagnostic gold standard.16 In the first study,11 cTnT findings were positive in 28 of 80 patients with clinically suspected myocarditis. Of these 28, only 5 had positive results from biopsy specimen analysis using the Dallas criteria. However, on further immunohistologic analysis, 23 of these 28 and 23 (44%) of the remaining 52 patients with normal cTnT levels were found to have myocarditis. The 5 patients with elevated cTnT levels but normal histologic findings were assumed to have myocyte inflammation, and it was further assumed that the biopsy specimens had been taken from normal, noninvolved tissue. There are several reasons why previous studies may have found higher prevalence rates of myocarditis than we did during acute influenza infection. The first is that the previous studies recruited patients from highly selective groups such as those already hospitalized with influenza infection.7,8 In contrast, our study recruited patients attending their primary health centers who thus can be considered more representative of the population at risk. Karjalainen et al6 investigated the prevalence of myocarditis in a small group of 41 conscripts with serologically confirmed influenza infection. Based on abnormal ECG findings and hypokinetic wall motion on echocardiography in a territory consistent with the ECG findings, 9% of the patients in that study were suggested to have myocarditis. However, false positives may have resulted from preinfection wall motion abnormalities and lack of blinding of the echocardiographer to the ECG results. In addition, although elevated total CK-MB levels were found in 3 patients, 2 of these had normal total CK readings, yet the results were interpreted to indicate myocarditis. We only considered the results of CK-MB analysis if the total CK level was above normal. Using this criterion, we found 3 patients with elevated CK-MB levels but determined that myocyte damage had not occurred because the CK-MB fraction was less than 6%. We recognize that our sample population may suffer a selection bias because subjects recruited were those who agreed to participate in the oseltamivir study. Furthermore, as the study design did not include ECG or echocardiographic data, this must be considered when comparing our data with those of other studies that have included those techniques. In conclusion, using more sensitive and specific markers of myocardial injury than in previous studies, we have found that the prevalence of myocarditis during acute influenza infection may be considerably lower than previous studies have implied. Although we are unable to conclude that no myocardial inflammation was present, it seems likely that this complication is rare. In addition, we have found that skeletal muscle injury is present in a substantial proportion of infected patients and is not associated with a higher antibody titer or myalgia or total symptom score. Corresponding author and reprints: Kim Greaves, MBBS, BSc, MRCP, Cardiology Department, Northwick Park Hospital, Watford Road, Harrow, Middlesex HA1 3UJ, England (e-mail: kimickc@yahoo.co.uk). Roche Pharmaceuticals, Welwyn Garden City, England, provided the materials and assays for troponin T testing without charge. This study was presented in part at the European Society of Cardiology, Amsterdam, the Netherlands, August 26-30, 2000. We thank Emma Covington, BSc, and Penny Ward, MB, of Roche Pharmaceuticals for their help with this study.